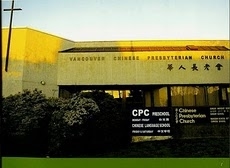 The Vancouver CPC Chinese School is near Oakridge Mall Centre, with a long history of dedication in teaching young people the Chinese language and the Christian way of living. Organized courses are taught by fun, caring and professional teachers. Classes range from kindergarden to junior high school. 1. To share the gospel. To promote Christian moral teaching according to the Biblical principles and encourage the students to apply them in their daily living. 2. To introduce Chinese history and culture so that they will be proud of their identity. writing so that students will obtain this skill as an asset in the marketplace. 4. To cultivate an interest for the students in learning Chinese.